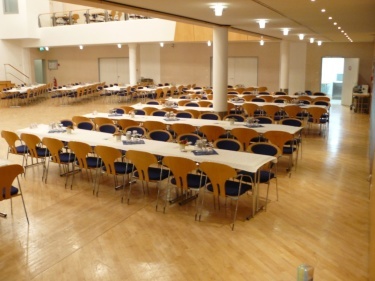 Under Construction takes place in the Stadthalle Gernsheim and is located right in the city center. In case you don't want to sleep at the party place Gernsheim offers a few pensions and hotels. Have a look here. Under Construction is the last demoparty of 2018. It takes place from December 27th to 29th in Gernsheim, Germany.